Season 10 #4: Believers 4 of 5 is coming out today, Wednesday September 18! The 7-page preview is up. You can read it while listening to Mark Snow’s Volume 2 soundtrack freshly released by La La Land! Michael Walsh might be the interior artist commissioned for Season 10, but #6-7 will be an exception: art will be done by guest artist Elena Casagrande! Although Walsh’s art has given this series a strong continuity with the look of the TV show, it will be interesting to see other interpretations of the XF universe too. 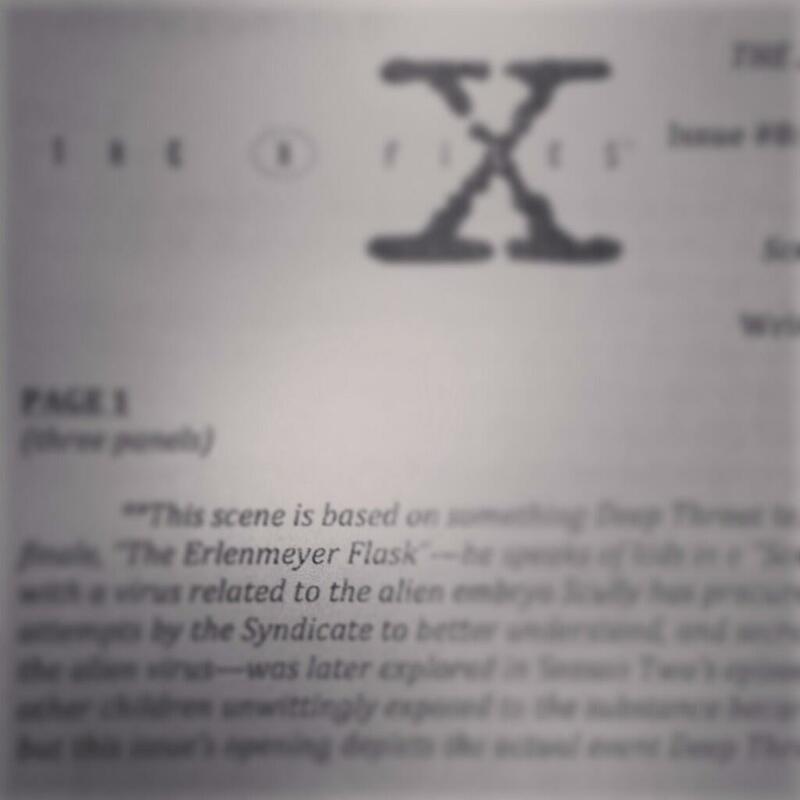 One can even imagine a series of guest artists once in a while, or even a split between Walsh on mytharc and rotating with other artists on monster-of-the-week stories, or even depending on the success of the series Walsh on the main Season 10 issues and various special guests on mini-series specials focusing on the Lone Gunmen for example! 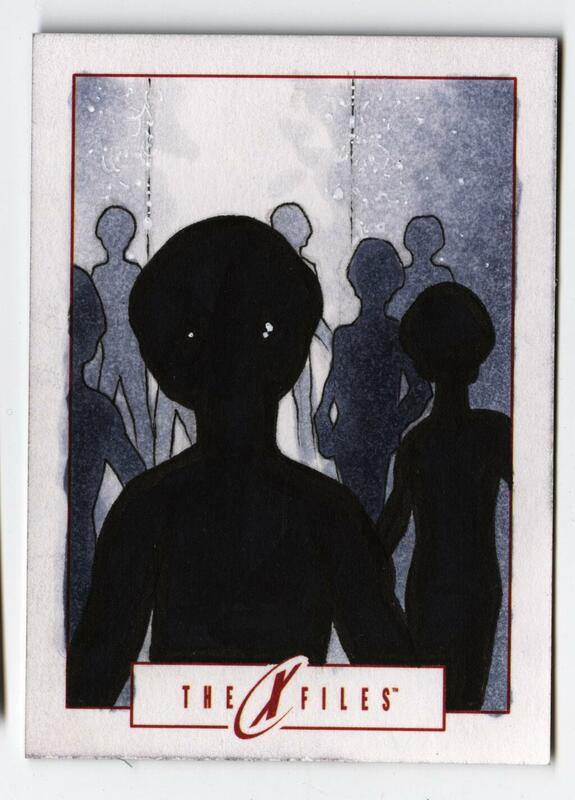 #6-7 is “Hosts”, marking the return of the fan favourite Flukeman monster from Chris Carter’s 2X03: The Host! This is the first monster-of-the-week story arc, and it’s great to see that the story will span more than one issue: 22 pages would have been far too short to tell a compelling and complete story. 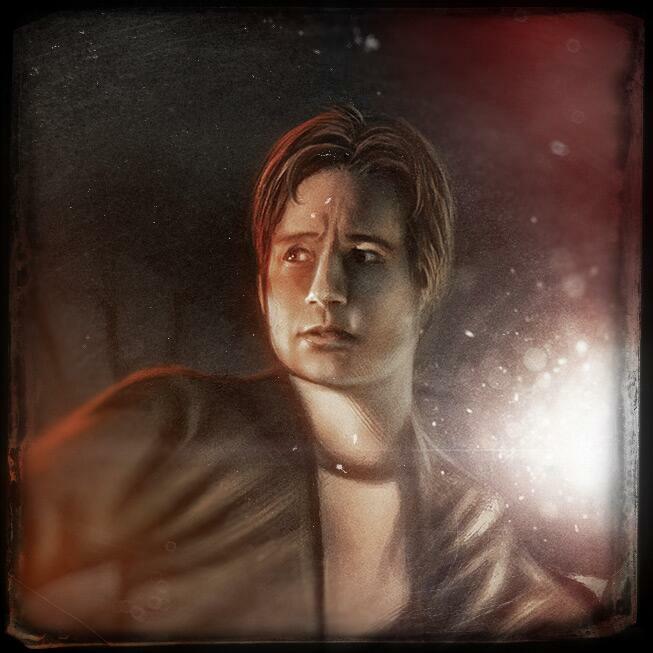 Hosts, Part 1 of 2: Scully and Mulder try to come to terms with the fallout from recent events, but before they are able to catch their collective breath, they become embroiled in reports that a creature from their past as returned: “Flukeman”! Hosts, Part 2 of 2: Missing persons reports point to the return of the “giant, bloodsucking worm” known as the Flukeman, sending Mulder to Martha’s Vineyard to invesigate and Scully to Quantico to examine the supposed remains of the creature. And what they both discover lies beyond belief and terror! 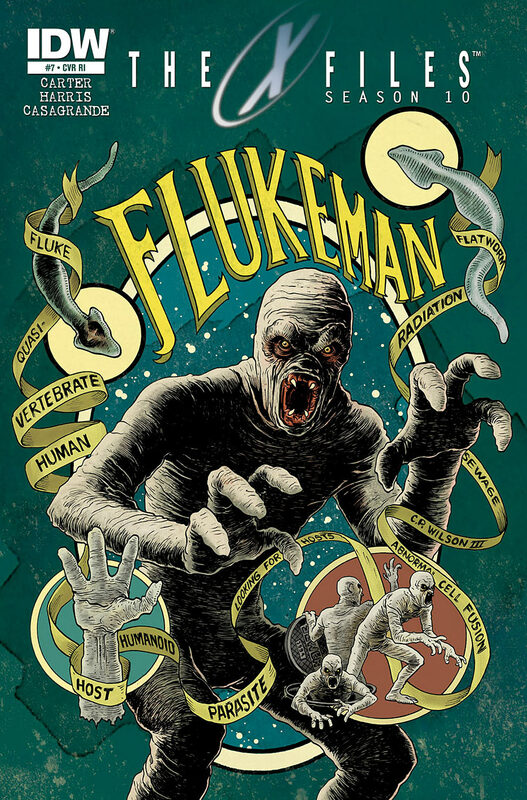 Ever since I first pitched IDW to bring back THE X-FILES in our SEASON 10 series, I knew I wanted to bring back Flukeman. The number of people who bring him up at conventions and comics shop signings far outnumber those who chat me up over other episodes, monsters and X-Files trivia (so I can only imagine how often Chris Carter has been asked about him/it). Growing up, this heavyweight king of the “Monsters of the Week” was a topic of conversation, and consternation, for both the hardcores and casual fans of the show alike, and the plan was always to get to him right after we re-established our characters and universe in our opening “Believers” arc. “Hosts” Part One crawls out of the sewer this November! IDW solicitations for December are out! 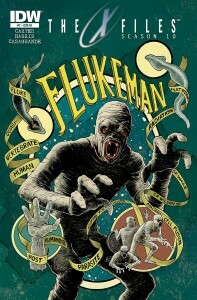 November brought the return of everyone’s favorite “Monster of the Week” — Flukeman! But the conclusion of this two-part “Hosts” story has plenty of surprises, including the unexpected origin of this immortal creature from the sewery depths. The first volume of the collected edition of Season 10 has been officially announced for December 2013. It’s a hardcover that covers the first 5 issues (i.e., the “Believers” arc), both facts that depart from the usual trade paperbacks with 6 issues for the US comics industry. For years they investigated the paranormal, pursued the “monsters of the week,” and sought the truth behind extraterrestrial activity, along with the grand conspiracy surrounding it rooted deep within their own government. But when AGENTS MULDER and SCULLY reunite for a new, ongoing series that ushers THE X-FILES into a new era of technological paranoia, multinational concerns, and otherworldly threats, it’ll take more than a desire “to believe” to make it out alive. HC • FC • $24.99 • 132 pages • ISBN: 978-1-61377-751-0 • Collects issues #1–5. Amazon has the release at December 24 (US) and December 31 (UK). 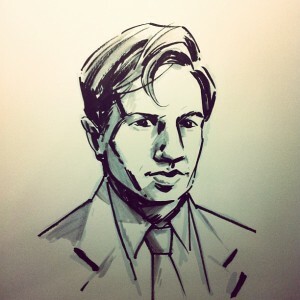 In a quick interview at ComicSpectrum, Joe Harris named X-Files: Season 10 #1 as the most challenging story he’s ever had to write. I really approached this gig as both a fan and a creator, honestly,” said Harris. “I kind of feverishly pecked out an outline and pitch for the first couple of years, really detailing an opening arc that would re-establish what The X-Files fans refer to as the ‘mytharc’ — the overarching storyline involving extra-terrestrials and the conspiracy within the government to cover up their existence, the collaboration of certain powerful figures seeking to influence and steer things along, Mulder’s quest to discover the truth, Scully’s ordeal as both an abductee and miracle mother, and all that stuff. I watched that all again, from beginning to end. And I’m always going back and checking out some of my favorite ‘Monster of the Week’ episodes as we’re going to be doing some direct sequels to some of those. That puts us at least out to August 2014, and so extends Season 10 beyond a calendar year (12 issues) — for comparison, the comic book Buffy Season Eight had over 40 issues — into unknown territory!